From the earliest days of European settlement to the present, Australian artists have forged an enviable reputation. Names like Streeton, McCubbin, Heysen, Drysdale, Boyd, Nolan, Whiteley and many others can be found in major collections throughout the world, and these artists have worked in a range of mediums. Iconic Aussies paintings from the Heidelberg School are ever in great demand at Charleston’s Fine Art Auctions. The influence of Impressionism spread to Australia during the 1880s with artists like Arthur Streeton, Tom Roberts, Charles Conder and Frederick McCubbin leading the way. These artists formed the core of what became known as the “Heidelberg School”. The group got its name from a camp Tom Roberts and Arthur Streeton set up at a property new Heidelberg on the outskirts of Melbourne. Their impressionistic paintings depicting the Australian bush soon became very popular and some of the works from that period are amongst the most popular and iconic Australian works. Some of the most the renowned paintings from that period include “Shearing the Rams” (1890) and “The Big Picture” (1903) by Tom Roberts; “A holiday in Mentone” (1888) by Charles Conder; “Down on his luck” (1889), “On the Wallaby Track” (1896) and “The Pioneer” (1904) by Frederick McCubbin; “Golden Summer, Eaglemont” (1889) and “Still glides the stream, and shall for ever glide” (1890) by Arthur Streeton. At Charleston’s we often have at auction a variety of oils, acrylics and prints from modern Australian masters like John Olsen, Charles Blackman, Brett Whiteley, Pro Hart, Margaret Olley, and Sidney Nolan. We also supply a wildly popular inventory of contemporary Australian artists like David Bromley, Jasper Knight, David Bowen, Gillie & Marc, Zhong Chen, Bruce Earles and Constantine Popov. We also enjoy breaking new, upcoming artist into the market. Street artists like Mulga, Feuerring and Gillet. As always, we let the market dictate the price. Over the years, Charleston’s has featured the work of many Australian artists at auction including the following: Matthew Johnson, Geoffrey Dyer, David Bromley, Jasper Knight, Charles Blackman, John Olsen, Matthew Quick, Wendy Sharpe, David Boyd, Zhong Chen, Janine Daddo, George Raftopoulos, Cheryl Cusick, Justin Feuerring, Pro Hart, Robert Dickerson, Jeffrey Smart, Dongwang Fan, Michael Johnson, Tim Storrier, Mark Hanham, Gillie and Marc, Bruce Earles, Colin Parker, Adam Cullen, Judy Cassab, Herman Pekel, Brett Whiteley, Sidney Nolan, Fred Cress, John Coburn, Arthur Boyd, David Rankin, Geoffrey Proud, Bob Marchant, Dean Vella, Peter Browne, Norman Lindsay, Martin Sharp, Robert Wilson, Maynard Waters, Salvatore Zofrea, Patrick Carroll, Carlos Barrios, Ray Crooke, Constantine Popov, Melinda Harper, Kristie Stenning, Nick Petali, Margaret Olley and others. Charleston’s was formed in 1997 by a group of like-minded individuals who shared a passion for art. We also had a common belief though art can be defined as “fine”, it doesn’t necessarily mean it should be elitist nor affordable only to investment bankers and multinational corporations. 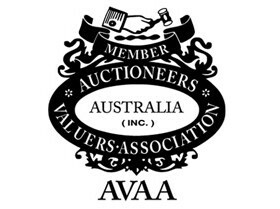 By creating Australia’s first and, by far, most successful travelling art auction house, we regularly bring quality works of art to Australia’s capital cities and we are the only auction house that travels to major regional centres.